This week Mel Wall of www.styledbymel.com and a Personal Stylist Course graduate has shared her top tips on how to blog…. When Gail asked me to write a piece all about how to blog, I jumped at the chance because if it wasn’t for her, I’m not sure I would be a blogger at all. The story goes like this. 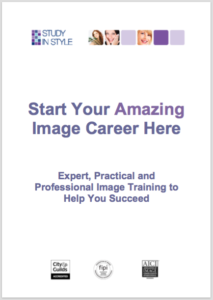 Early on in my training, Gail asked me if I would write a testimonial for the Study in Style course. As it happens, I had already written something but wasn’t really sure what, if anything, I was going to do with it. When she featured it on her website she introduced me as an ‘aspiring blogger’. My immediate reaction was ‘ah, so that’s what I am’ and so began my journey to blogdom (that’s a real word!). 1. First and foremost, write about what you know and write it from the heart. 2. Be yourself and inject your personality. 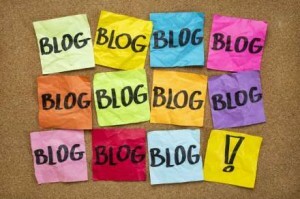 That way, not only will your blog be unique but people will engage with it and feel they are getting to know you. 3. Know your audience. By that, I mean it’s good to have in mind who you’re talking to. I know that I’m aiming my blog at ladies, who like to look stylish, are aged around 30 – 45 and are probably mums. But I know some guys read it too – just as they do the gossip magazines when their other half is out of the room! 4. Check and check again. If there’s one thing that I cannot stand, that’s spelling and grammar mistakes. I would cancel a subscription to a blog if, post after post, I was finding mistakes. 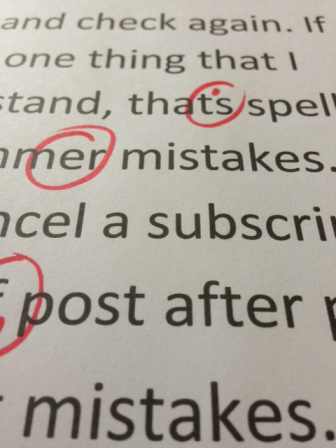 Use spell checker and ask someone else to read through it before you publish it. 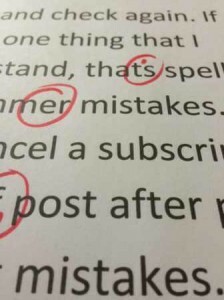 If you can’t be bothered to make sure it’s correct, how can you expect people to take the time to read it? 5. Include relevant pictures (copyright permitting) in your posts. People love pictures, especially if it’s quite a wordy post. 6. Read other people’s blogs. It’s good to know what other bloggers are doing and they can be very inspiring. 7. Share and share alike. Make sure that your blog is easy to share by including social buttons and make sure that you’re sharing your own blog too. Don’t be shy – get it out there! 8. I was lucky enough to have my tech savvy other half to help me set up my blog, but don’t let the technical side put you off. There are so many YouTube videos and forums that can guide you. 9. Don’t get carried away thinking that you need a logo and a catchy tag line – that will come. Get your writing and thoughts out there first and the rest will follow. 10. And finally, once you start blogging, whether it’s daily, weekly or monthly – just keep going, don’t stop! That very first article I wrote for Gail unleashed a passion for writing that I honestly didn’t know I had and as a result, writing has now become a very important part of my life. It’s also encouraged me to write articles beyond the boundaries of my blog. Back in April I submitted a piece to St Albans Fashion Week magazine and it got accepted. I was over the moon to say the least. Ironically, my subject matter wasn’t about fashion or style, which goes to show that writing my blog has also given me the confidence to write about other subjects that I feel passionate about. There are many success stories out there which all, amazingly, started with a blog. For example, there’s Nick Coffer who started his blog ‘My Daddy Cooks’ when he got made redundant and took the role of stay at home dad. 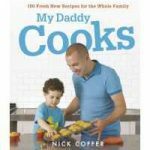 To date, he has had two cookery books published, is now a presenter on BBC 3 Counties radio and has starred in a Sainsbury’s TV advert. 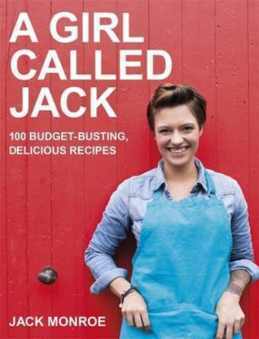 There’s also Jack Monroe who started her blog ‘A Girl Called Jack’ about food and recipes on a budget when she was struggling to make ends meet as a single, unemployed mum. The national papers got wind of her and The Daily Telegraph ran an article that, by her own admission, changed her life. 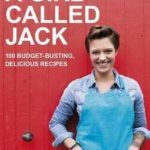 She has had one book published with another due out in October this year. She also writes a weekly column for The Guardian. So you see, it opens doors – but, and this is an important but, don’t start blogging if the only reason you’re doing it is to earn money or get famous. Do it because you love it and feel passionate about it.